The program of patient invitations for medical treatment in the international clinical trials in Ukraine began on Portal in November 2017. 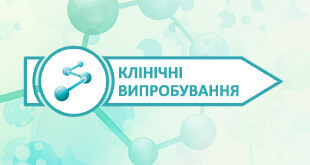 Program is designed for patients with various diseases of all age groups and investigators working throughout the territory in clinical centers approved by the Ministry of Health of Ukraine: Vinnytsia, Dnipro, Zaporizhia, Ivano-Frankivsk, Kyiv, Kremenchuk, Kryvyi Rih, Lutsk, Lviv, Mykolaiv, Odesa, Poltava, Sumy, Ternopil, Uzhhorod, Kharkiv, Kherson, Cherkasy, Chernihiv, Chernivtsi and the other cities. Providing investigators with a opportunity to widely inform potential patients about active recruitment in international clinical trials in Ukraine. Providing patients with a opportunity to find clinical trials for treatment in Ukraine. For participation in Program, Registration of Applicant (Investigator or Co-investigator) on Portal is mandatory. The number of invitations for clinical trials is not limited for Investigator. The contact data provided during registration of Invitation are used by Portal Administrator exclusively for transferring them to the interested patients, and they are not displayed on the public Invitation page. Registration of Patient on Portal is not mandatory for participation in Program. Patient’s contact information is confidential, it is provided exclusively to Investigator of the selected clinical trial. Patient’s participation in Program is free of charge. Investigator fills in Registration Form of Invitation in the Ukrainian language. The entered information may be edited or deleted by Investigator from the page of registered Invitation. All registered invitations with active recruitment are published on Invitations for patients for clinical trials in Ukraine page. At the end of patient recruiting period, Invitation is transferred to Archive of invitations for clinical trials with completed patient recruitment. On invitations for patients page, Patient can choose Invitation (using filters) according to the medical field, the diagnosis, or the city/location of trial. On the page of selected Invitation, he/she can evaluate his/her compliance with all inclusion criteria and non-compliance with all criteria for exclusion from the trial. By filling in Feedback form, Patient confirms his/her interest in participating in the selected clinical trial. Portal Administrator sends Investigator the contact details of the interested Patient for selection in the trial. Investigator informs Portal Administrator about the date of Patient involving (screening) in clinical trial and pays to Portal for the corresponding information service. If Patient lives outside the city/place, where the trial is conducted, the travel expenses for visits to Clinical site may be partially or fully reimbursed to Patient within the period of participation in the trial. Such an opportunity can be discussed between Patient and Investigator in each individual case. If Patient did not select an Invitation or was not included in the selected clinical trial, he/she may complete Feedback Form on Invitations for patients for clinical trials in Ukraine page to receive a notice about publication of the new Invitation that may be of interest to Patient.